BGC provides commercial cleaning services to discriminating buyers who value quality at reasonable rates. We began operations in 2007 in Fort McMurray, AB and expanded to Edmonton in 2014. 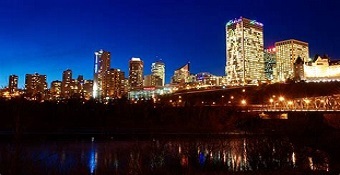 Our Edmonton Branch services our regional business interests throughout Northern and Southern Alberta. BGC does NOT sub-contract any portion of our work out or charge back a royalty/administration fee’s to our cleaning staff. All BGC staff have payroll deductions and are insured by WCB. We ensure our customers speak well of BGC by meeting their cleaning needs. We understand customers have choices and they are our best referrals. BGC portfolio of long term customers include World Class Companies, National, Regional and Local businesses who trust BGC to maintain their facilities in pristine conditions. BGC constantly seeks customer feedback by means of our QA Inspections and random customer satisfaction surveys. Bottom line, we spare no expense to maintain satisfied customer relationships. To clean your facility correctly, BGC invests in state-of-the-art cleaning technology. Our current portfolio of equipment investment exceeds $700,000 in specialty cleaning equipment. This enables BGC to address any cleaning need successfully, on time, on budget! Also, new staff must pass internal company screening compliance and police security clearance before joining our BGC team. Safety compliance is more than just a word to BGC, its our corporate culture. We actively promote 24/7 safety awareness campaigns to “Return Home Safely”. We understand the core asset of any company is their people and their customer’s staff, therefore BGC embraces corporate safety governance as a top priority. BGC uses GREEN Cleaning Systems and Chemicals exclusively, all the time, every time. Our cleaning rates are competitively priced for outstanding quality. As an aspiring leader in the Alberta cleaning industry, our success has stemmed from our steadfast commitment to our customers. We’re proud to deliver unrivaled cleaning services each and every day. Your satisfaction is extremely important to us. Our mission is simple – to exceed client expectations and develop state-of-the-art techniques and systems that deliver tangible value for our clients through knowledge, dependability and integrity. Create a safe and considerate working environment. Encourage originality, innovation and promote enthusiasm in meeting the requirements of our customers. Endeavour to cultivate profit growth through efficient production methods and procedures. Create a distinctive and progressive corporate culture. Make positive contributions to the community in which we operate and strive to become a model corporate citizen. Our vision is to create long-lasting relationships with our clients. Our aim is not to be the markets largest company, but simply the best. We help customers take pride, comfort and satisfaction in their homes and business properties. When they call on us, the job gets done right. If we fall short, we work equally hard to make it right. We listen and respond to each customer as an individual and build personal relationships. These relationships transform customers to clients. At BGC we strive to be more than just a contractor; our aim is to create long-term beneficial relationships with our customers. To provide peace of mind 24 hours, 365 days a year, BGC will be there, always. We handle jobs the right way and contact you when they are complete. When we make a promise, we keep it. Our promises provide a link of trust to our owners, our customers and to each other. We honor and respect ourselves and others when we do all in our power to meet our commitments. To survive and thrive in a rapidly changing environment, we must obtain and share new knowledge across the industry. We encourage and support continuous learning, critical thinking and risk taking. We value associate contributions. The goal of the safety training sessions is to provide a competent level of safety knowledge for all employees to retain and apply within their job functions. Our training process begins with a new hire orientation, followed by safety training. Employees are to be trained and instructed in the location and use of emergency eye wash stations, emergency showers, laboratory fume hoods, and flammable liquid storage cabinets at all job sites. Bill’s General Cleaning extensive safety program has been in several years. 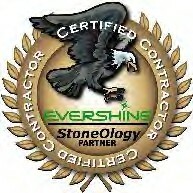 Each year the safety program is strengthened with the oversight Board Certified Safety Professionals. Bill’s General Cleaning has a process in place for the screening of applicants to assure that they can perform the duties of the job. Once an employee is placed in a job they must attend orientation classes that outline the job processes, exposures to hazards and controls that must be in place to reduce the hazards. The written safety programs such as the Injury, Illness Prevention Plan, Hazard Communication Plan, are reviewed at the time of hire, and periodically thereafter. The code-of-safe practices are reviewed with each new employee and before the start of each new job. Our Safety Committee has the responsibility to facilitate required safety training within the company. All on-site employees must be provided with a safety training seminar coordinated by the department. The committee may accomplish this requirement by developing a program to meet the various training requirements. On January 21, 2010, BGC successfully completed the Alberta Construction Safety Association (ACSA) Train-the–train Course offered by Workplace Hazardous Material Information System (WHMIS). BGC also permitted to conduct WHMIS training in accordance with ACSA standards. Approval for this certificate bears official number 5085576. On January 28, 2010, BGC received the certificate of Leadership for Safety Excellence Program from ACSA. Proficiency certificate number for this program is 5087062. On February 01, 2012, BGC completed the course on Principles of Health & Safety Management. The training provides the participant with the necessary tools to develop and maintain an effective health and safety management system. Certification for this completion bears official number of 5087737. On October 18, 2012 BGC received the approval of good standing from ACSA for being an associate member. Registration number issued for this approval is 1769. ". . . We evaluate everything from your largest to your smallest concerns . . ."
It is Bills General Cleaning Services’ goal to be viewed by our customers as the best facilities solutions and service provider available. We understand that we are not the only source for service available and any lack of performance on our part may result in the loss of our clients. The typical “vendor based” quality assurance program is designed to benefit the service provider and not necessarily the client. We believe strongly in accountability. We believe that our clients need to be involved in the design and implementation of the quality program that will provide a mutual benefit for both parties involved. On a client by client basis, we evaluate everything from your largest to your smallest concerns, mix in our knowledge and expertise and form the basis for an individual quality program specific to your site. We encourage your involvement in quality audits, performance ratings, corrective and preventative action processes and documentation. We have a quality control system that was designed and tested right here in house. This program is so unique that it can be individually tailored to each facet of your facility. This tool is used to monitor, check, improve on performance, and report in on all aspects of your site. Our quality assurance policy is to provide complete client satisfaction through innovation, continuous improvement, and service excellence. We are committed to exceed customer expectations in all areas of our business. Our client’s satisfaction is our main focus. From client feedback and requirements to service practices and implementation, our talented resources and precise processes are dedicated to, and ultimately measured by our client’s success and satisfaction. We deliver reliable, superior quality services backed by application know-how and expertise. We will continuously strive to exceed the expectations and specifications of our clients. We involve all of our employees in an effort to improve the value of our services. We do this to ensure no areas or ideas, from the front line employee to our Managers are ever missed. Much time, detail, and attention goes into perfecting and evolving our processes. We take your individual scope of work and expressed needs and assign a unique team to your site. We ensure that only the most qualified crews and appropriate management are selected to support your facility. We will constantly offer flexible communication and scalable solutions that respond effectively to your ever changing needs and requirements.